The fourth edition of Sam’s Scores is upon us and there are many more scores to show! Admittedly, I’m not a PC gamer, but that doesn’t mean I don’t enjoy them, I am just more of a console person. Usually while searching through CDs for misplaced or mistaken Playstation games, I often find PC games thrown in as well. There aren’t many titles I actively search for, but you never know what you’ll find in a thrift store CD bin. King’s Quest is completely new to me, but I had heard of the name before so I picked it up. 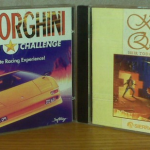 Now, I’ve had a fond past with Lamborghini American Challenge release on the Super Nintendo, so I was well aware of what this game was and knew I had to have it, even though I still prefer the SNES version. 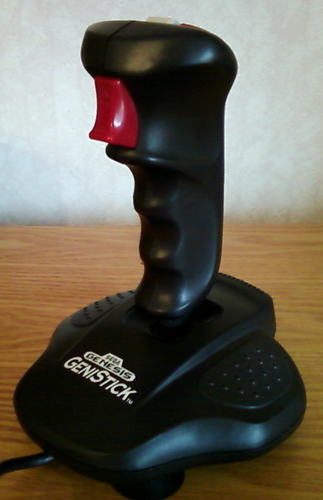 The Sega Genistick is a joystick controller with integrated A, B and C buttons as well as the Start and a turbo feature, much like the Quickshot joysticks. 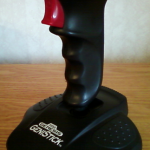 Oddly enough, this looks almost identical to the Quickshot QS-177 for the Sega Genesis, with gray buttons instead of blue. This sat on the shelf for a week or so before I went in and bought it during a discount week, not a bad price…. I’ve been buying any game I can for my N64, I love that thing! Even though some games are pretty lousy, if I get them cheap enough I don’t feel bad adding them to my collection. 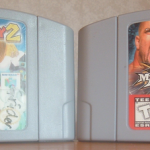 N64 games don’t pop up all that often at the thrift stores I frequent, but when they do I try to get my hands on them unless I already own them. If I don’t know a title, I’m not afraid to check it out because the price is always pretty inexpensive. 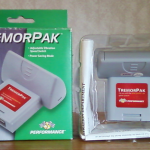 As always, like above, I’m on the look out for N64 accessories, controllers, memory cards, anything really. Back in the day, Performance was making accessories for anything they could and N64 was a hot ticket. 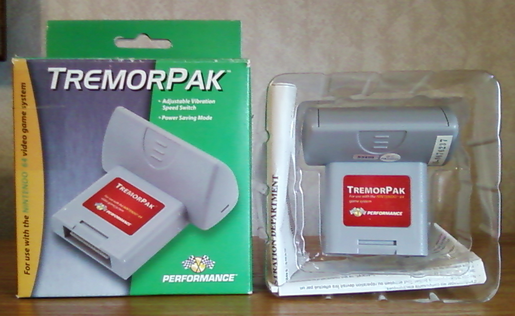 When I came across one of their Tremor Paks (complete in box no less!) I was pretty excited, especially by the price. Sadly, when I brought it home the previous owner had left the batteries inside to corrode and leak, with a little cleaning and coaxing it trembled to life in my controller and everything turned out alright.